We offer microneedling and microneedling with PRP to our patients at our Slidell and Madisonville locations. Both are effective at producing collagen synthesis, repairing sun damaged skin, diminishing acne scars, stretch marks, and fine lines. 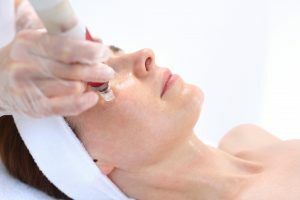 Microneedling, also known as collagen induction therapy (CIT), is a medical grade skincare treatment designed to revitalize the skin using its natural ability to heal itself by stimulating the body’s own collagen production. Microneedling is a minimally invasive skin rejuvenation procedure that helps minimize the signs of aging, improve the appearance of acne scars and rejuvenate aging skin. Microneedling is safe and effective for all skin types and produces natural results with minimal discomfort and minimal downtime. It can be used on all parts of the body, including face, neck, decollete, arms, hands, legs, abdomen and back. Treatment can improve the appearance of hyperpigmentation as well as uneven skin tone, acne scars, traumatic scars and stretch marks. Contact us today to learn more about Microneedling procedure in Slidell and Madisonville to schedule your appointment.